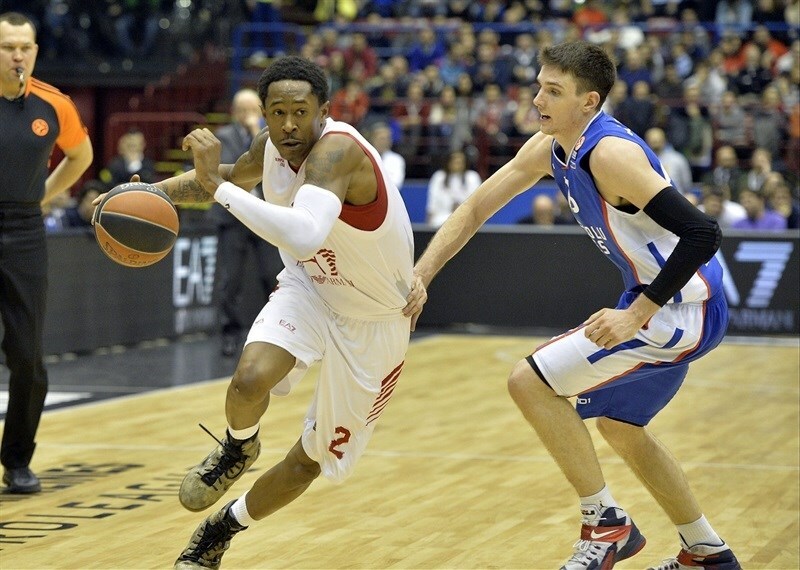 In a see-saw battle that went down to the wire, Anadolu Efes Istanbul edged EA7 Emporio Armani Milan 71-73 on Friday night. 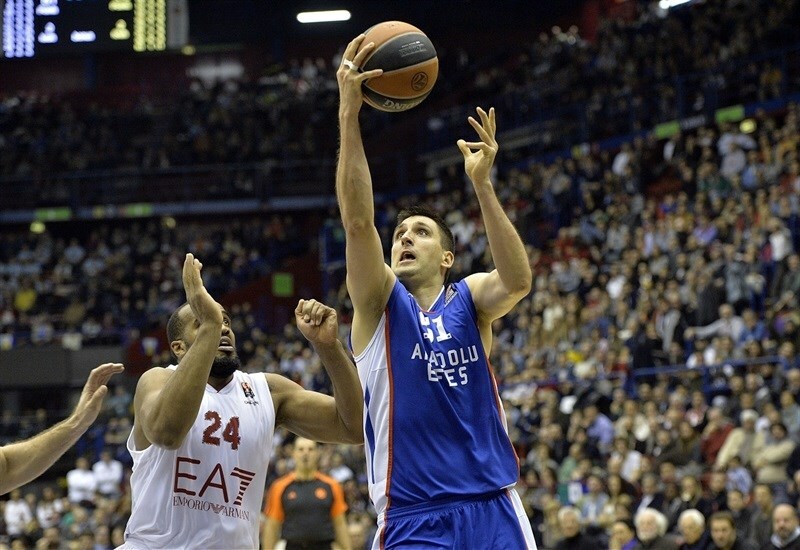 Efes improved to 4-2 and remains in a share of third place in Group F, while EA7 Milan dropped to 1-5. The teams traded leads throughout 40 minutes, with neither team holding a lead bigger than 13-19 – Efes’s advantage early on. 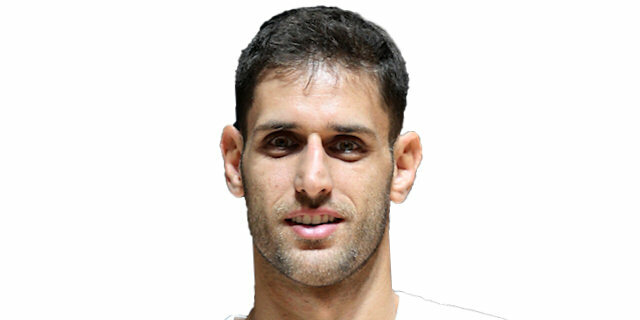 In the final two minutes of the hard-fought contest, Milko Bjelica put Efes up for good before Thomas Heurtel and Stratos Perperoglou helped the visitors secure the victory. 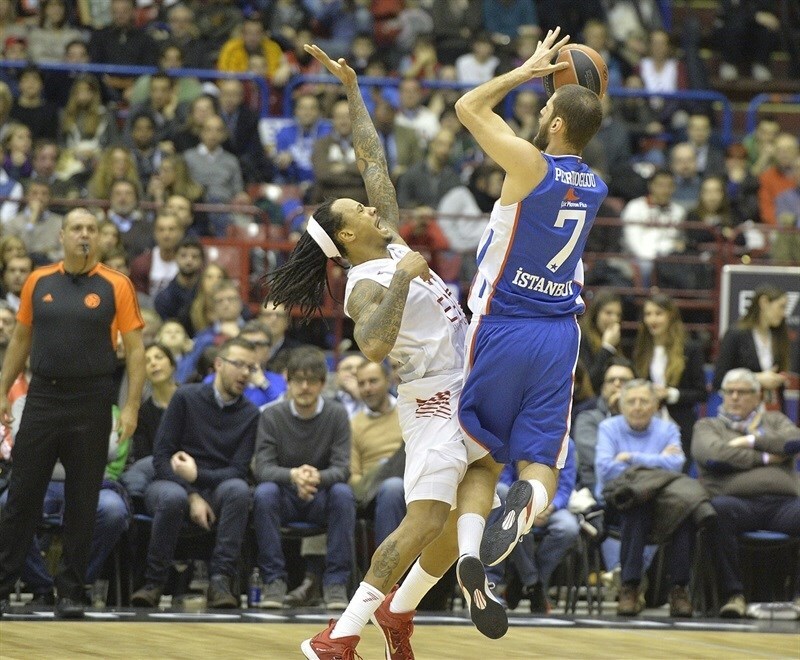 Perperoglou netted all of his 18 points in the second half, and Bjelica had 15 for Efes. 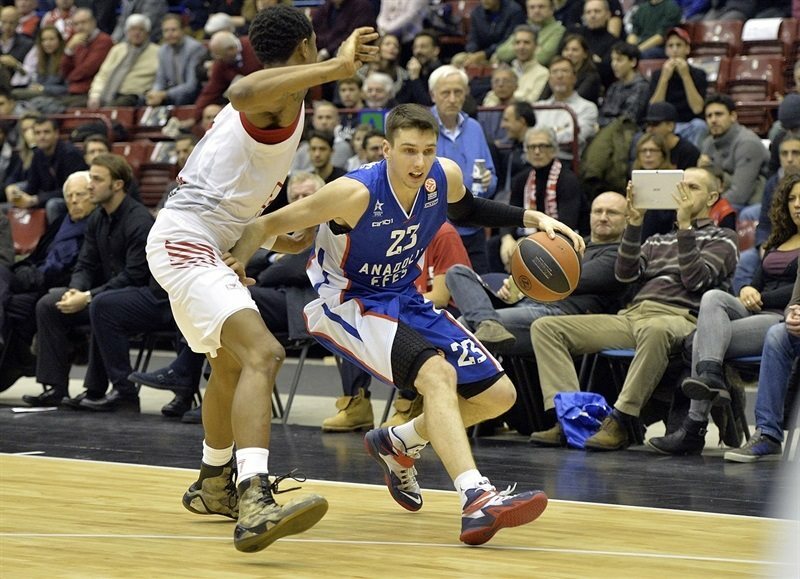 Heurtel chipped in with 10 and Nenad Krstic 8 points in victory. 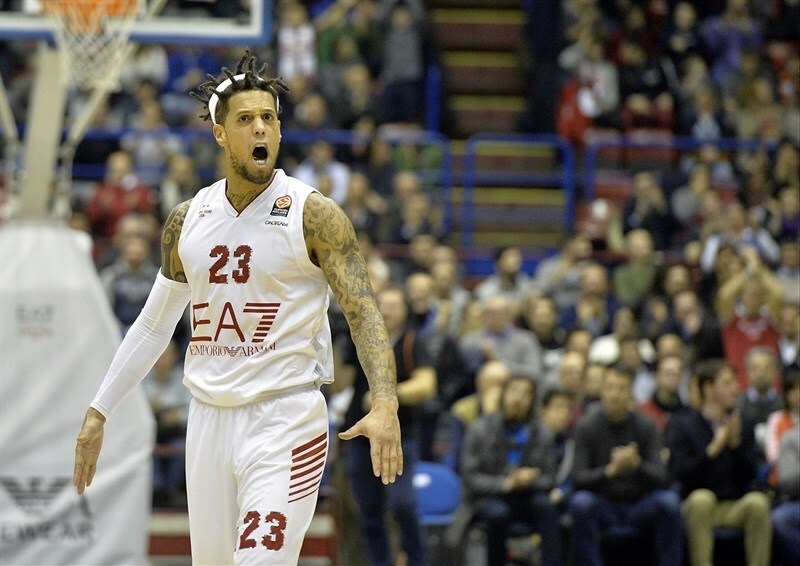 Daniel Hackett and MarShon Brooks each scored 18 points for Milan, which was without Alessandro Gentile. Hackett also pulled down 7 rebounds. 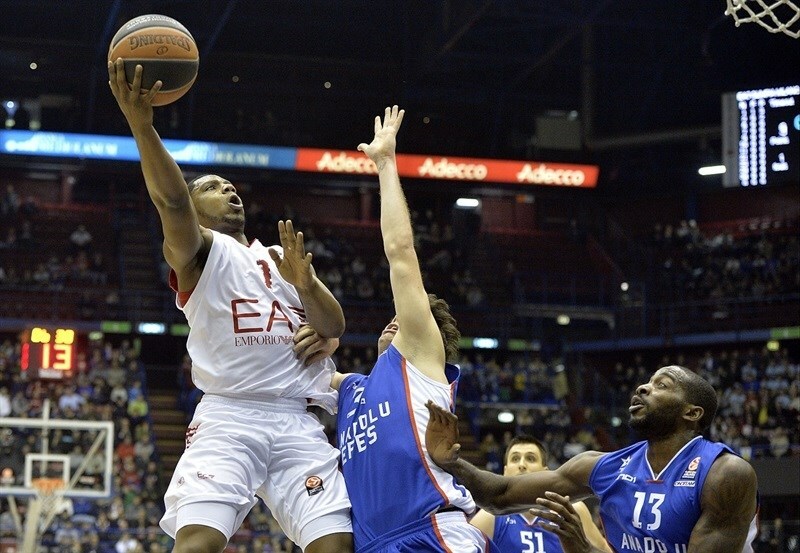 Samardo Samuels had 16 points plus 7 rebounds, while Joe Ragland scored 14 in defeat. Brooks hit a baseline jumper, and Ragland a triple on Milan’s first two trips down the floor. 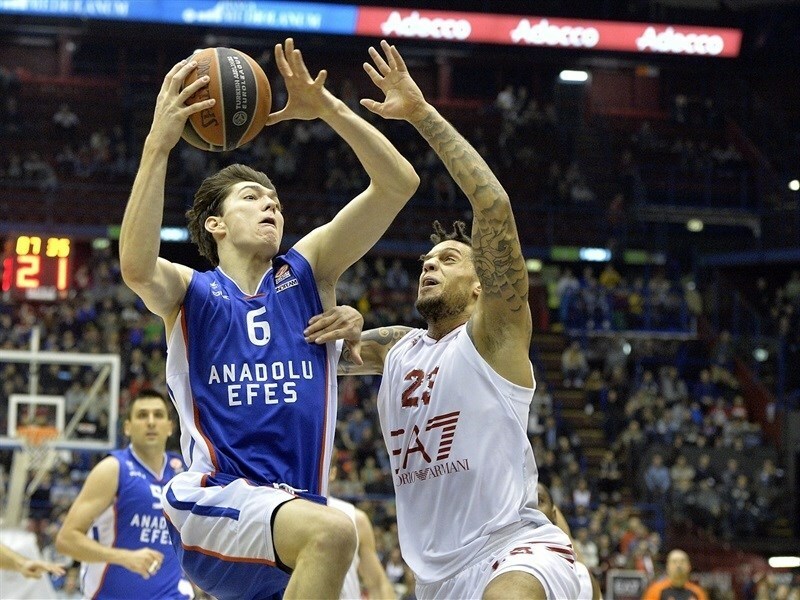 Cedi Osman answered with a three-pointer for Efes, before Bjelica drove for a dunk that tied it at 5-5. Samuels had a pair of close-range baskets for the hosts, but Huertel nailed a triple on the other end, and after Ragland drove for a layup, Bjelica buried a corner three-pointer to make it 11-11. A mid-range jumper put Efes in front for the first time, and another triple from Bjelica made it 12-16. 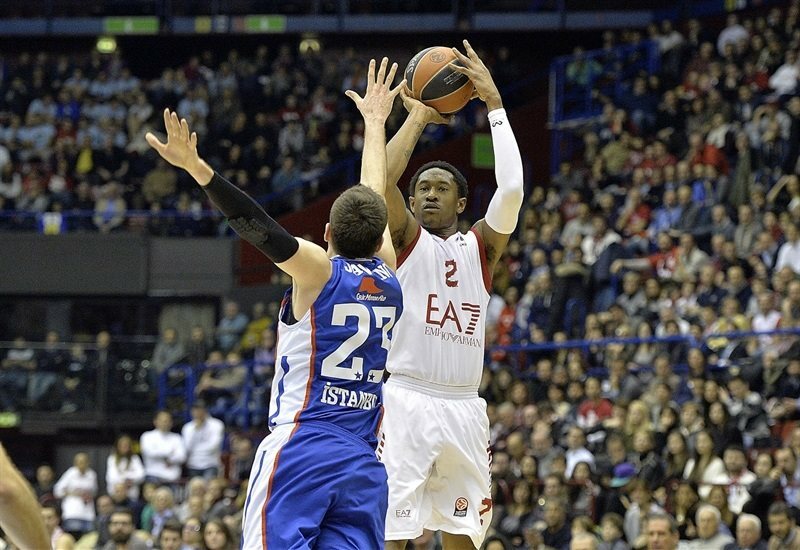 Efes’s second-ranked defense did not allow a field goal or more than five minutes, and Osman made a steal that led to a fastbreak basket for Matt Janning. Milan’s drought continued from the floor, but Brooks drew a pair of fouls, and sank 4 of 5 foul shots in the final minute of the quarter to make it 17-20 after 10 minutes. Samuels scored a layup to open the quarter, but Krstic made two free throws then fed Dario Saric for an easy layup and a 19-24 lead. But Hackett took an inbound pass for a layup, drove for another one, then followed that with a jumper and a triple to make it 28-24. Krstic snapped Hackett’s run of 9 unanswered points with a layup, ending the span of four minutes in which the visitors did not score a basket. Heurtel knocked down a three-pointer, but Bruno Cerella scored on a fast break and Trent Meacham hit a three-pointer for a 33-29 lead. 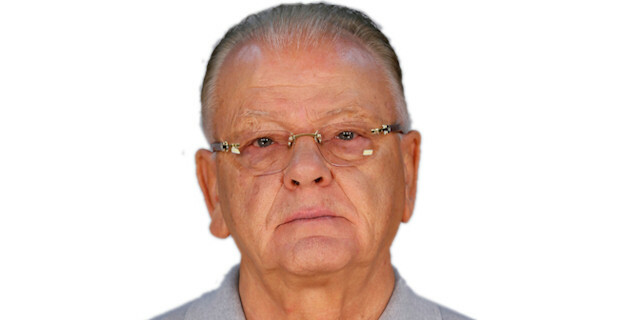 After a timeout by Efes coach Dusan Ivkovic, Janning sank a triple, but Hackett replied with a basket-plus-free throw, before Bjelica and Heurtel each split free throws to cut it to 36-34 at halftime. Stratos Perperoglou got things going after the break with a triple, and after Brooks made a driving layup, Dontaye Draper hit a long jumper for a 38-39 edge. Samuels and Perperoglou traded jumpers as the teams continued to trade leads. Perperoglou’s three-pointer made it 42-44. Brooks countered with an acrobatic runner, and after Krstic hit a baseline jumper, Brooks buried a triple over Krstic for a 47-46 advantage. 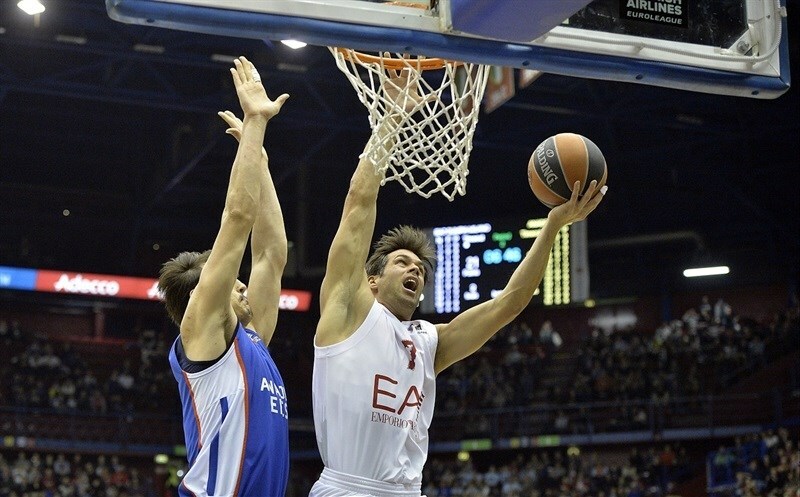 A three-point play from Samuels put Milan back in front, before Perperoglou drove for a layup. In the final minute of the quarter, Samuels and Ragland made shots for Milan, but Perperoglou made 4 foul shots and tied the score at 54-54. Brooks buried an open triple for the first basket of the quarter. Ragland drove for a layup, but Bjelica, Osman and Heurtel combined to make 4 of 5 free throws for Efes to get within 59-58. Hackett and Draper traded driving layups, and Bjelica had a driving layup of his own for a 61-62 lead. Saric buried a three-pointer to extend the margin to 4 points midway through the quarter, and after Ragland went bursting through the lane for a three-point play, Perperoglou nailed another three-pointer to make it 64-68. But Ragland hit a mid-range jumper, and Milan went back in front with two minutes to go with a basket-plus-free throw from Hackett. After a timeout, Efes regained the lead with Bjelica driving for an uncontested layup, before Heurtel and Samuels traded free throws to make it 71-72 with 50 seconds to go. The hosts made a defensive stand and Milan was left with one possession to win, but Hackett missed a triple. Perperoglou took control of the rebound, and went to the foul line with 2.3 seconds on the clock. He made the first, missed second free throw, and there was not enough time left for the hosts to get a realistic shot. "It was a very big team effort, we were fighting until the last seconds. It was necessary for our bench to keep balance offensively and defensively. Milan is great one-on-one with Brooks, Hackett and other players. On the other side, we found our right chemistry. Perperoglou was great. At the end, he did not miss second free throw intentionally. There would be a timeout and a foul if he had made it." "We knew it would be tough to win here. It was one of last chances for Milan. They played tough and really good. We are happy to get the win. We needed it because our goal is to go to the next round."